It’s so hard to believe that only around nine months ago I was getting ready to take Athena to school for the first time ever. 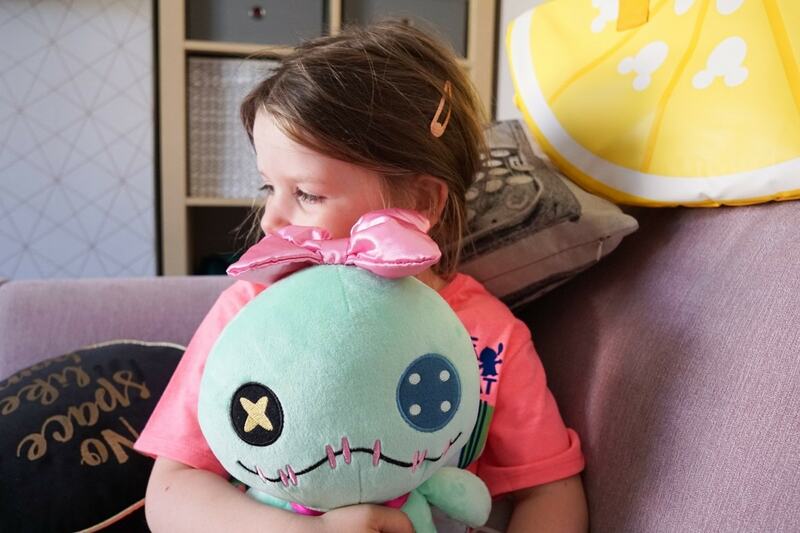 Now she’s almost finished her reception year of school and is loving it, and it was only after the last half term that she ever said ‘what, school… again? !’ one morning. Other than that she’s been so keen to go in and ‘do my learning’ as she puts it. I have watched her grow into a confident little thing, who will correct me if she thinks I’m wrong, who never stops asking questions and who loves to write and draw. I am almost dreading the summer holidays because I am not sure how I am going to keep her occupied and her mind active for over six weeks! 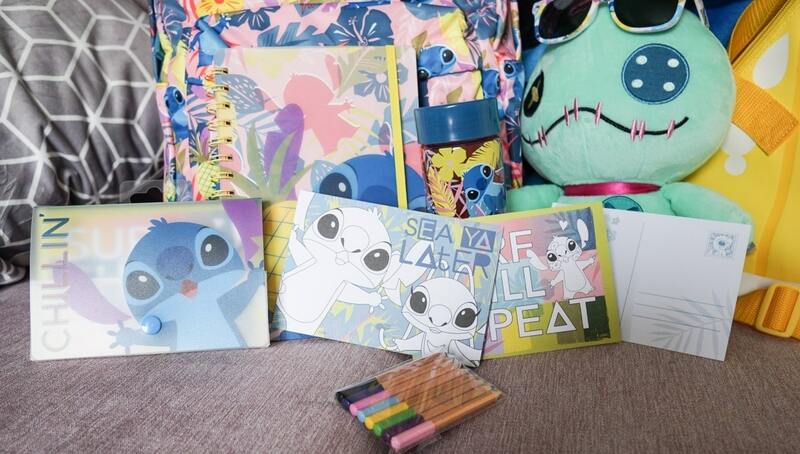 I’m planning lots of days out and we have a few little trips away planned in too, and the Disney Store have sent us some bits to get us started from their Summer of Adventure shop. It is full of things to make holidays and days out a lot more fun, featuring lots of your child’s favourite Disney characters of course! 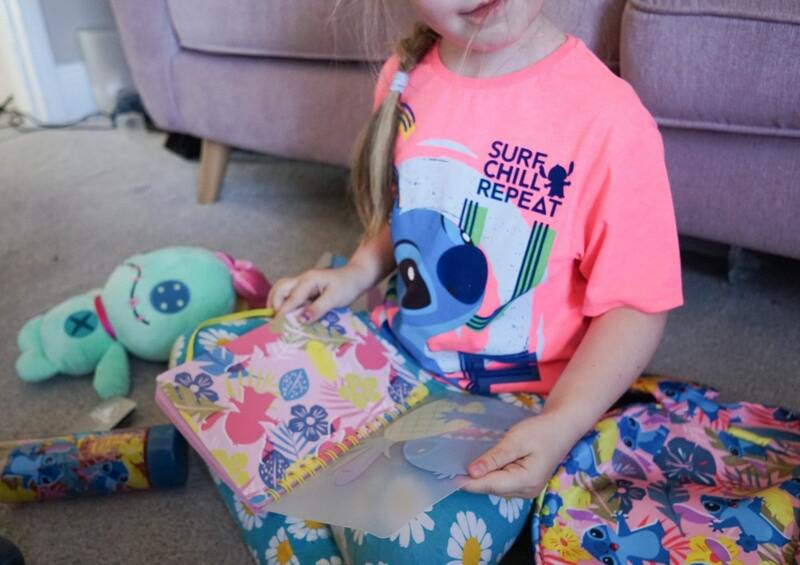 You can expect to find all the holiday essentials like sunglasses, beach towels and even pull along luggage, but for those of us who aren’t jetting off anywhere abroad there are picnic blankets, lunch coolers and stationery kits and more. 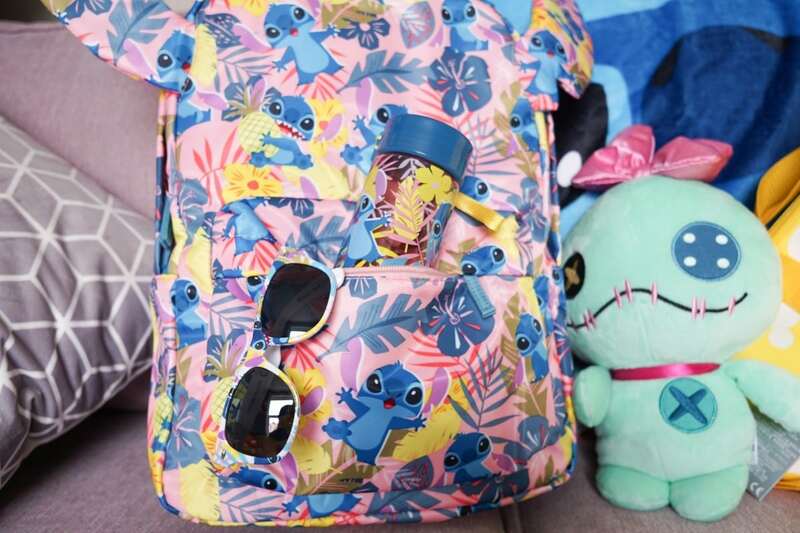 Athena very excitedly opened up the box when it arrived and pulled out lots of amazing Lilo and Stitch goodies – a back pack (with removable ears!) 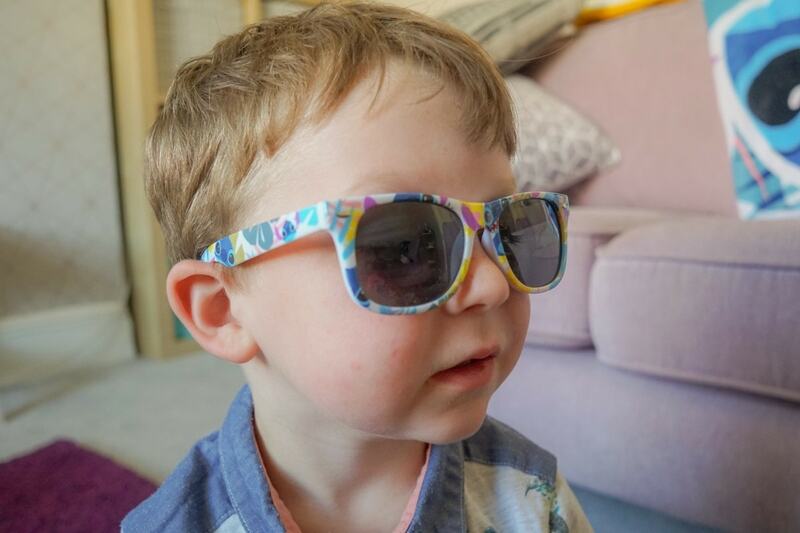 a T shirt, Sunglasses (which she has kindly given to Arlo, bless her!) 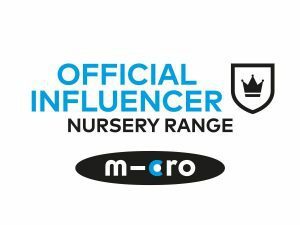 as well as a colouring kit, water bottle and beach towel. I was excited to see the amazing cooler bag too, it looks like a wedge of lemon but if you look a bit more closely you’ll see Micky Mouse shaped pips! We’ve already used this on a day out and it was perfect for carrying our lunch and drinks, and because of its shape is a lot more comfortable to wear across your body than a rectangular bag! Athena has already begged me to let her use the new backpack for school next year, which is fine by me as it means I won’t have to lug her long-strapped book bag to and from every day! She also wore the T shirt to school this week as it’s ‘sports week’ so they were allowed to wear their own clothes! I love how bright it is, she’ll definitely be easy to spot in a crowd! 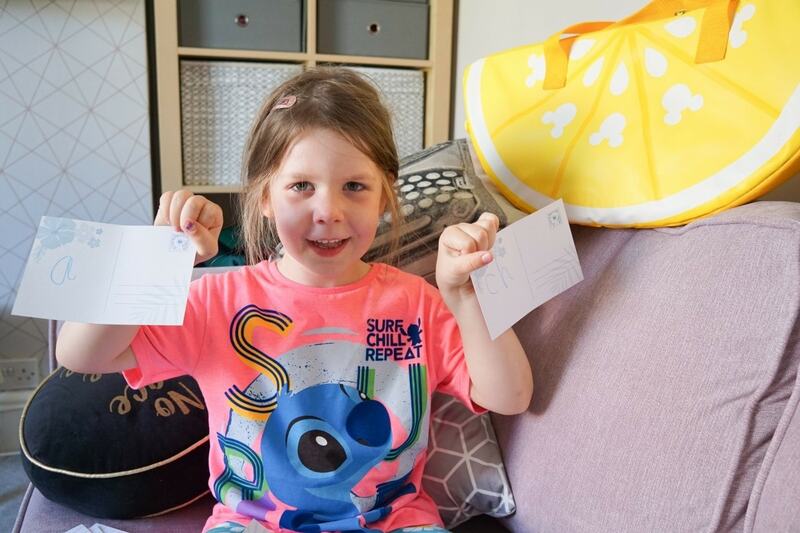 She also leapt on the pack of postcards in the little wallet, complete with coloured pencils, she’s written all her sounds on them (ng, ch, qu etc!) so that she can remember them in the holidays and play teachers with them, so we have to spot the sound as she holds them up, she’s very cute but a bit bossy as a teacher! I love how she put them to good use right away though! Build or find a fort, preferably in the woods! I’ll update you on how we did at the end of the summer holidays! We were sent these items for inclusion in this blog post. 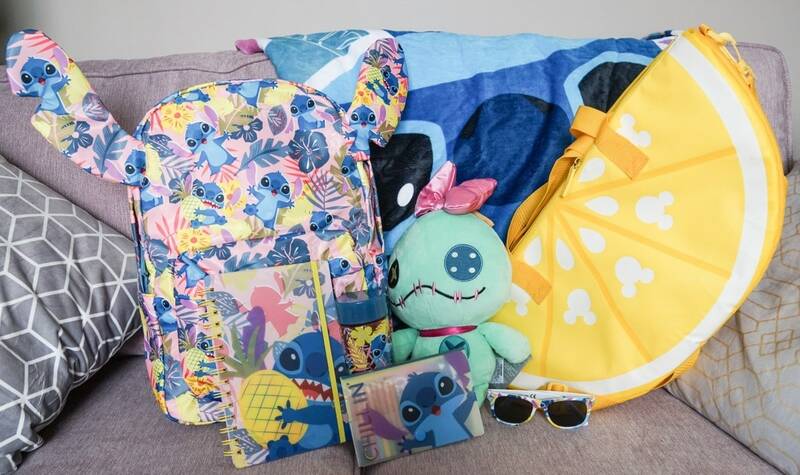 That stitch bag is so cute! Each week they have a different theme and free activity planned in store for kids ages three and up. As a bonus, your child will get a free limited edition rubber bracelet.We got the Dory bracelets in California last week and they are so cute. I gave it to Adeline since she is having her Finding Dory birthday party next week.